You’ve just bought the home of your dreams, signed the contract and packed the moving van — you’re all set, right? Not if you haven’t sold your current home first. So you put it on the market and you wait. And wait. And wait. In many cities where it makes more financial sense to rent than own, buyers may simply not be interested. In others, buyers do come along, but they don’t have enough money saved for a down payment or their credit isn’t good enough. How will you ever sell this house? For many, the rent-to-own home may be the best option. Also called a lease-to-own house, the process works similarly to a car lease: Renters pay a certain amount each month to live in the house, and at the end of a set period — generally within three years — they have the option to buy the house. Each month of rent they pay is income for the seller, while a portion of it goes toward a down payment to eventually buy the home. Both renters and sellers need to be very clear about the contract they draw up before they agree to this arrangement. Renting-to-own has advantages and disadvantages for both parties. Sellers who have already bought a new house will have relief from paying two mortgages at once, and in a slow housing market with many homes for sale, this may be their best option. Buyers who can’t yet afford a house may be able to get one more quickly. So your house has been up for sale for months, and you can no longer afford to make mortgage payments on both your old and new homes. You’re desperate to sell but don’t want to lose money. Now may be time to consider making your old home a rent-to-own property. Before entering into an agreement, sellers have to decide the sale price and rent they’ll charge for the house. Both amounts are subject to negotiation, just as a regular sale would be. But sellers and buyers need to remember that once they sign an agreement, the sale price of the house is locked in until the end of their rental term, between one and three years. Even if other housing prices rise or fall during that time, the original agreed-upon price is final. Renters also have to pay an option fee and then a rent premium. The option fee is a set amount that the renter pays the seller. If, at the end of the lease period, the renter buys the house, the option fee becomes part of the down payment. If the renter doesn’t buy the house, the option fee becomes income for the seller. Rent premiums are an amount slightly above the typical rent, with a portion of that money going toward a down payment. Here’s a typical example: The house is worth $200,000, and typical rent would be $1,000 a month. Someone who’s renting to own might pay $1,200 a month in rent and then receive a $200 rent credit each month. Add the option fee, in this case $5,000. On a three-year lease, the renter would earn $7,200 in rent credits. Adding the earned rental credits to the option fee, the renter has accumulated $12,200 for a down payment. This is a valuable alternative for buyers who otherwise wouldn’t have the credit score or money saved to acquire their own home. And the sellers, eager to relieve themselves of the burden of the old home, earn this money whether or not the house sells once the leasing period expires. If, at the end of the contract the renter can’t or chooses not to buy the house, the seller keeps all the money. As with any business contract, there are mutual risks and disadvantages involved for both parties. What if someone else wants to purchase the house for a higher price than originally negotiated? Who’s responsible for fixing the leaky roof in the middle of the night? – buyers have time to build income and repair their credit history as they rent the house. – depending on the agreement, renters can walk away if they find something seriously wrong with the house. Although the renter will lose the option fee and all their rent credit money, that amount will be much less than if the renter had bought the house outright and tried to leave it later. – buyers still have to pay the upfront option fee. It’s usually a percentage of the agreed-upon selling price of the home and is often thousands of dollars. Although this money will go to the down payment should the renter decide to buy the house, it can still be difficult to accumulate that much money before renting. – if the buyer is just one day late on a month’s rent payment, most agreements void the rent credit for that month. Think about the previous example, where the three-year renter received a $200 rent credit each month. If the buyer paid the rent late just three times each year, at the end of the lease period, the buyer would have $1,800 less for the down payment. The buyer in the rent-to-own agreement must pay on time, every time. – if the seller fails to pay the original mortgage on the house, it may be foreclosed and the buyer forced to move. – at the end of the rental period, the buyer still may not be able to buy the home for the same reasons they couldn’t buy at the start of the lease: bad credit, insufficient down payment, not enough income. All those repairs that used to be somebody else’s problem in a rented apartment often become the responsibility of the new buyer, even during the rental period. Whether it means climbing on a ladder to unclog the gutters or having to pay for a new washing machine when the original washer breaks, the renter has to take care of it. – if home values are falling, sellers can lock in a higher price at the start of the agreement. – renters who are looking to own generally treat their living space and community better. They’re planning for their future, instead of living in a place they’ll vacate in a year or so. – if a renter does back out at the end of the agreement, the seller still has the option fee and rent premiums as income. However, the seller is back to square one, which may be difficult for some homeowners who just want to be free of their old house. 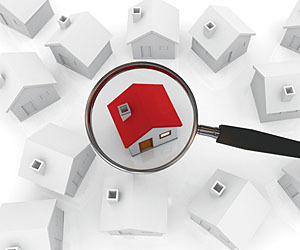 – if a new potential buyer comes along who wants to purchase the house for a higher price, the seller is out of luck. He entered into a contract with the renter, and he has to abide by it. – many sellers use the rent they earn to pay the existing mortgage on their old home, which eases their financial burden. If the renter can’t make payments, few sellers can afford to pay both their old and new mortgages, which could force them into foreclosure. Given the pros and cons for both buyer and seller in a rent-to-own deal, both parties should also consider alternatives to this transaction. Wraparound financing is an alternative often used where the seller has a mortgage on the home and the buyer has sufficient income but, for a variety of reasons, is unable to obtain a mortgage. The buyer makes a down payment at the time of the sale and signs a promissory note to the seller for the remainder of the purchase price, plus interest. The buyer then makes monthly payments to the seller, who uses that money to pay off the existing mortgage. This type of financing saves each side closing costs and allows the buyer to make more money by charging an interest rate slightly higher than that of the existing mortgage. Of course, both sides remain vulnerable: The seller needs the monthly payments to pay off the mortgage, and even if the buyer pays on time, the home can be foreclosed on if the seller does not make mortgage payments [source: Kass]. Under a land installment contract, the seller agrees to transfer the title to a home and the property it sits on only after the buyer has met certain conditions specified in the contract, typically the payment of the purchase price plus interest. This type of agreement is commonly used where the buyer is capable of making only a small down payment and smaller monthly payments. In this situation, there is no mortgage, or the existing mortgage is being paid by the seller, who must pay it off before transferring title to the buyer. The buyer should ensure that the seller does in fact own the property before entering a land installment contract. As with rent-to-own, the buyer is typically responsible for repairs to the property and may also be expected to pay property taxes and homeowner’s insurance [source: Southeastern Ohio Legal Services].